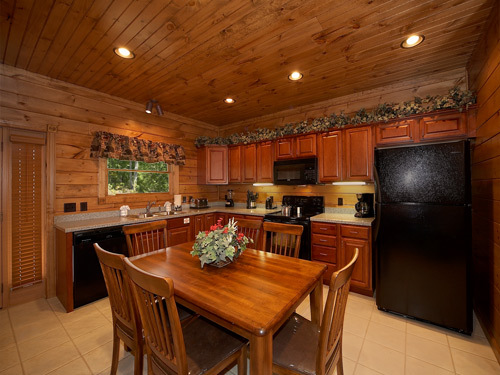 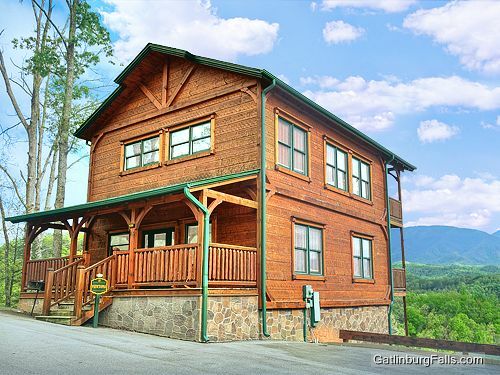 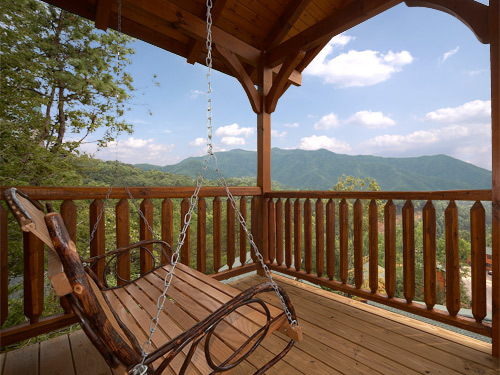 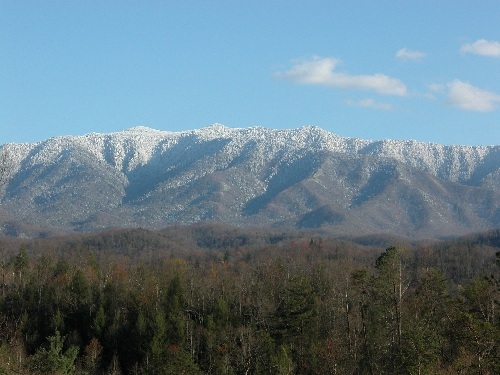 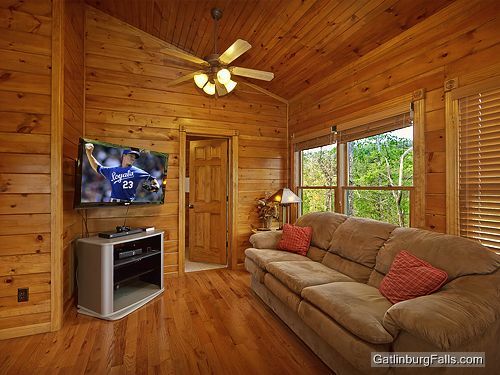 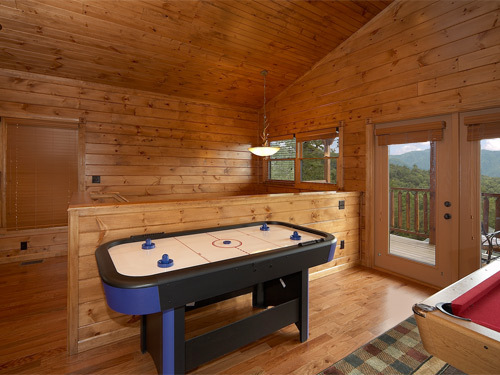 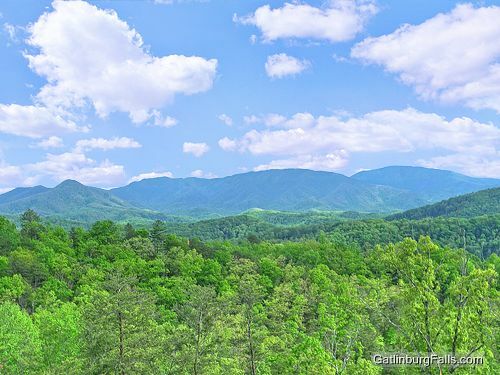 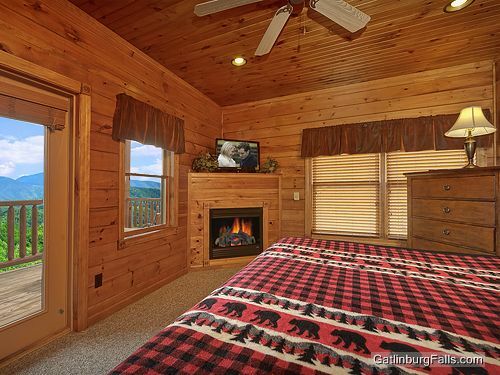 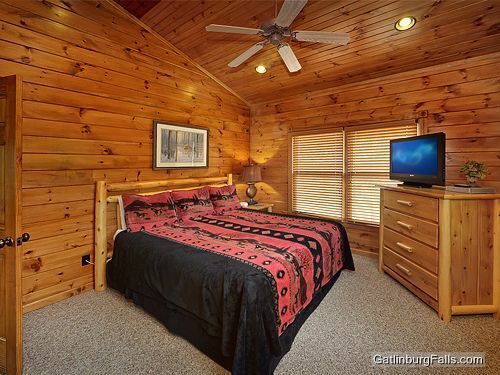 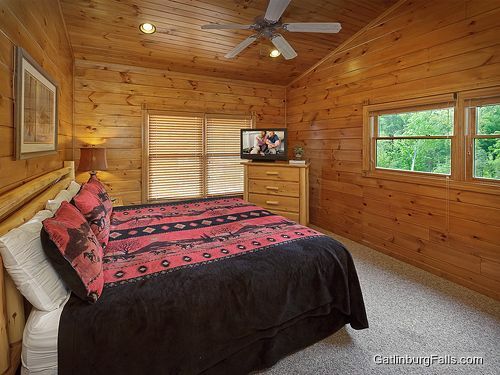 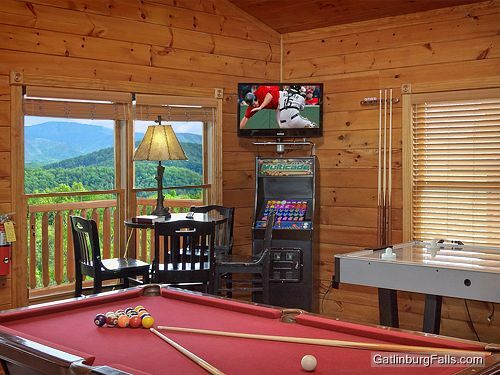 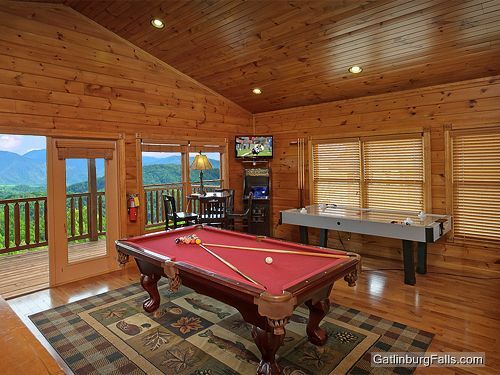 This 2 bedroom luxury Gatlinburg cabin rental features some of the finest views of the Great Smoky Mountains National Park in the Gatlinburg/Pigeon Forge area. 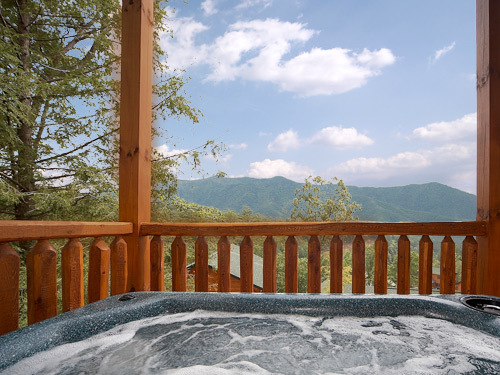 Viewtopia sits perched high atop the beautiful Gatlinburg Falls Hidden Valley Resort and features enough room to comfortably accommodate up to 10 guests with its 2 king bedrooms, 2 queen sleeper sofas, and 1 twin sized bunk bed. 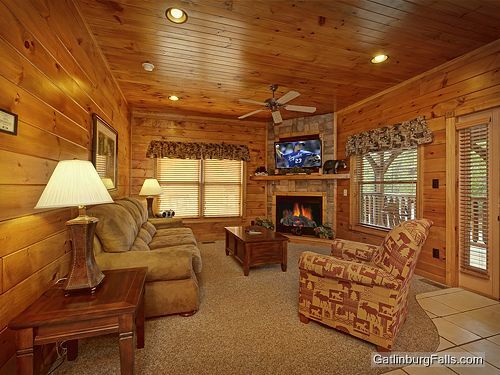 Families are sure to fall in love with this cabin because it offers numerous amenities that will please every guest. 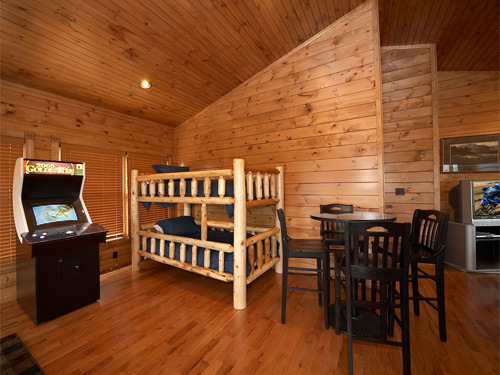 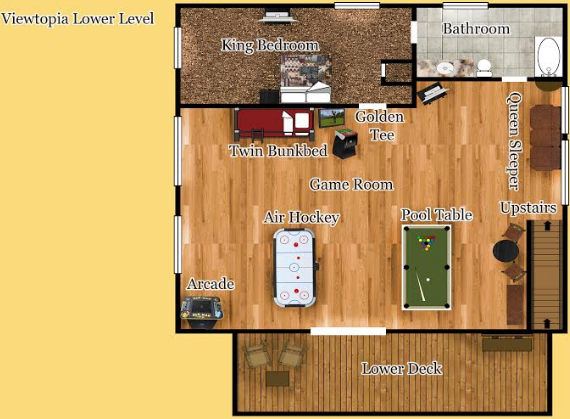 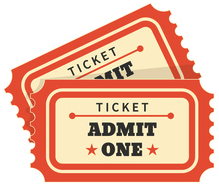 Adults will enjoy relaxing in the vertical jetted shower spa, porch swing, Amish rocking chairs, or hot tub with breathtaking mountain views; while the children will not want to leave the game room which is stocked with Pool Table, Air Hockey, Golden Tee, and Ms. Pac Man/Galaga arcade game. 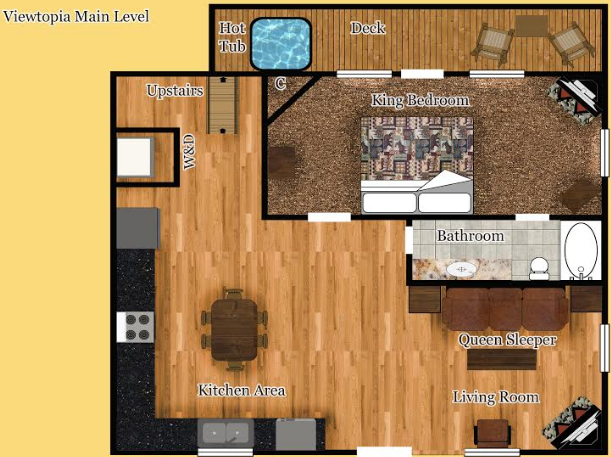 Viewtopia is sure to become your favorite family vacation spot for years to come.